The Jodel design can be traced back to the end of the second world war when the French government, recognising the value of light aviation, purchased considerable numbers of Tiger Moths and Miles Magisters at a very low cost. These were then passed on to flying clubs. But these ex-wartime trainers were very fuel hungry and slow. This left a gap in the market for Edouard Joly, a private pilot who lived in the area of Beaune, and his son-in-law Jean Delemontez, to fill. The story goes that they fell upon some pre-war aircraft-quality plywood and an old 26 hp Poinsard engine and without formal training in aerodynamics decided to design their own single-seat light aeroplane. The wood was turned into a small, single-seat aircraft with cranked wings. It was so tiny, particularly compared to existing training aircraft, that they called it the D9 Bebe (Baby). The fact that Delemontez spent so much time working on the aircraft, rather than with his wife (Joly's daughter), is also reported to have something to do with the naming. Now, that's how the story went, and it's certainly the stuff that legends are made of. But the truth is rather different. Jean Delemontez was en experienced and trained aeronautical engineer and Eduard Joly also had many years experience of aircraft construction, having built a Pou du Ciel (Henri Mignet's flying flea) before the war. The two men were operating a major aircraft and glider maintenance and repair establishment before the Jodel series' design and build efforts commenced. So the implication that the material for the first D9 were 'found' at the back of a hangar is clearly fabrication, but fun nevertheless. The prototype D9 at its first flight Edouard Joly being the pilot at this very grey winter day with snow on the runways. Initially, the D9 was never intended for any other use than their own pleasure flying. The performance of the little single seater was so promising however, that lots of people, including the government, were standing in line to purchase one. Reluctantly, the two men gave in and started producing them and selling building licences. Over 500 D9's were constructed in the 20 years to follow. The structural and aerodynamic features of the D9 and subsequent designs are quite sophisticated, as shown by the robustness and performance of the aircraft, and serve to underline Jean Delemontez's professional abilities. 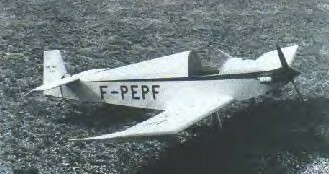 Then, as now, the French government, always keen to encourage local enterprise, showed an interest in the design and a slightly larger aircraft, the D11 with two seats, followed. Joly and Delemontez fomally set up a company, combining their names. The Jodel company was born. 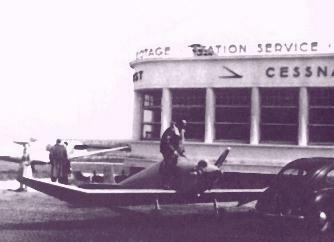 The two seat D11 series was therefore designed and constructed as a prototype batch for a French government requirement for an aero club trainer. The D11 was succesfull and its variants, principally the 65 hp D112, the 90 hp D117 produced by Society Aeronautic Normande (SAN) at Bernay and the 90 hp D120 from Avions Wassmer at Issoire, were produced in large numbers for aeroclubs through the French government subsidy scheme. I have also seen versions that were called D119 and 1190. The Jodel company did not really manufacture that many aircraft itself, their idea being to licence other firms. Jean Delemontez worked directly with two organisations in particular to develop the various Jodel models and series. With SAN at Bernay he developed the 180 hp four to five seat D140 Mousquetaire and later the 100 hp two seat D150 Mascaret. New samples of the breed are still being developed, the D18 and D19 being the most recent models. From the 1950s onwards various types, D11, D112, D117 and so on, were built by various companies. There was also a large pool of amateur builders whose examples were generally powered by 90 hp Continental C90s or 100 hp O-200s and usually designated D111. Roughly 1500 commercially built aircraft of this series were produced. Jean Delemontez's work with Pierre Robin's Centre Est Aeronautique (CEA), later renamed Avions Robins, is well known. 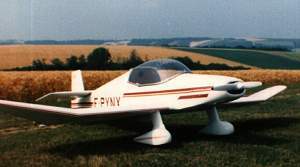 The CEA Jodel Robin was based on Jean Delemontez's earlier D10 concept, a four seater whose wing had been constructed but then shelved when the D11 work became more urgent. Together with Pierre Robin Jean Delemontez took the Jodel Robin through the DR100, 200 and nosewheel DR300/400 series between 1957 and 1972. DR1050 - As for the DR 105, but with 100 hp Rolls Royce or Continental O-200 engine. DR1051 - As for the DR 1050, but with 105 hp Potez 4E20 engine. The DR 100 series was succeeded by the Robin DR 200 range of aircraft, being very similar to the DR 100's. The DR 200 series started with the DR 220, of which 83 were built in 1967. The 220 was eventually given a 108 hp Continental O-235 engine, in stead of the original O-200A, and was then called the DR 221 Dauphine. 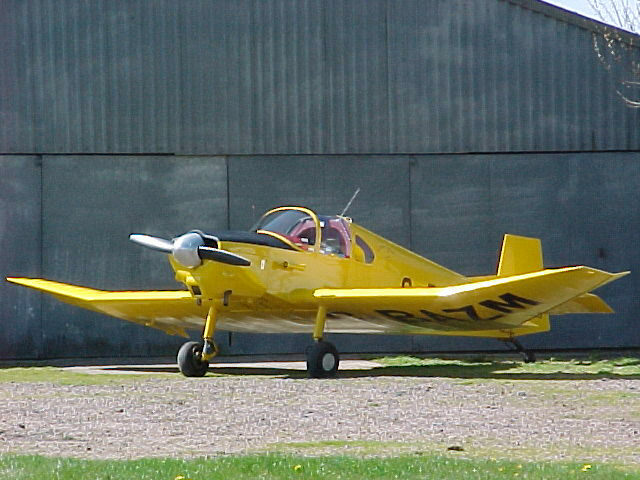 The Dauphine was later given a 160 hp Lycoming O-320-D2A engine, making it the DR 250 Capitaine. The DR 250 was the ultimate taildragger. After some 100 of them were produced, the DR 250 was later given a larger fuselage, trigear undercarriage and a 180 hp Lycoming O-360-D2A, making it the DR 253 Regent. By this time, the whole range of aircraft had been taken over by Robin. Meanwhile, Joly and Delemontez were not sitting idle. Having built the D9, D10 series (=DR100) and D11 series, it was time to move on. After some ideas that never materialised, the D140 Mousquetaire was introduced. 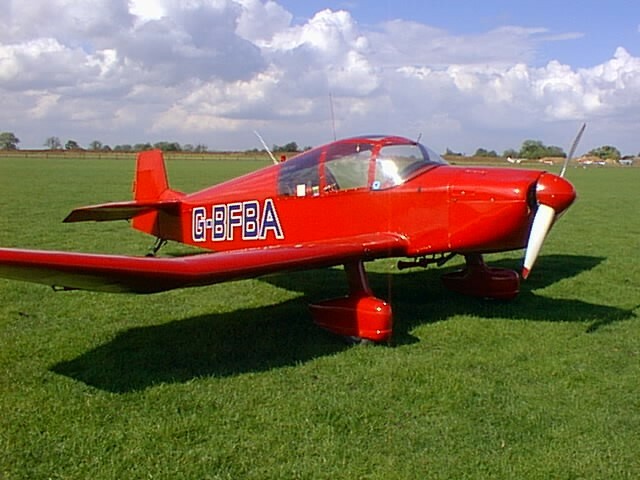 It was to become the biggest jodel ever built: a 180 hp tailwheel design with four/five seat capacity. Early Mousquetaires featured a rather ugly triangle vertical tailplane, later ones were fitted with tailplanes like on the DR 1050 M and DR 200 series. The next design coming from Delemontez' drawing board was the D150 Mascaret. The Mascaret was intended to be the successor of the aging D11 series. It was a two seater, fitted with a modified DR100 wing and a 100 hp Continental O-200A engine. The design proved very successful and quite a few have been built by both factory and amateur builders. After the D150, a D160 prototype was built. It was to become a six seater fitted with a six cylinder 235 hp Lycoming engine. The interior was fitted with two sets of individual seats and a rear bench seat. It had an electrically actuated canopy, hinged on the port side. It featured a wing span of 10,86 meters and had a length of 8,32 meters. A version with retractable gear and a constant speed prop was envisioned, but ultimately, the D160 never saw production. As far as I know, the D 17, never saw the light of day. The D 18 and D 19, however, do exist. They are small two seater homebuilts that are usually powered by converted Volkswagen engines. Plans are being sold to homebuilders, but they were never factory produced. Just recently, the D 20 prototype was unveiled. It is a trigear scaled down Robin DR 400 look-alike. SAN plans on producing it in kit form for amateur builders. 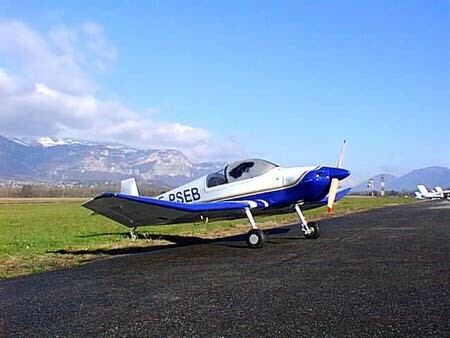 The original Avions Jodel company still operates as a design bureau and licences constructors (professional and amateur) through the sale of plans for specific models, D9, D11 series, DR100 series, D140, D150 and more recent D18 and D19. 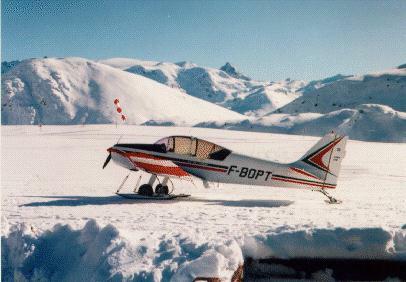 In addition an associated company SAB (Society Aeronautique Bourgoyne) produces parts (fuel tanks, canopies, undercarriages) for most Jodel variants.